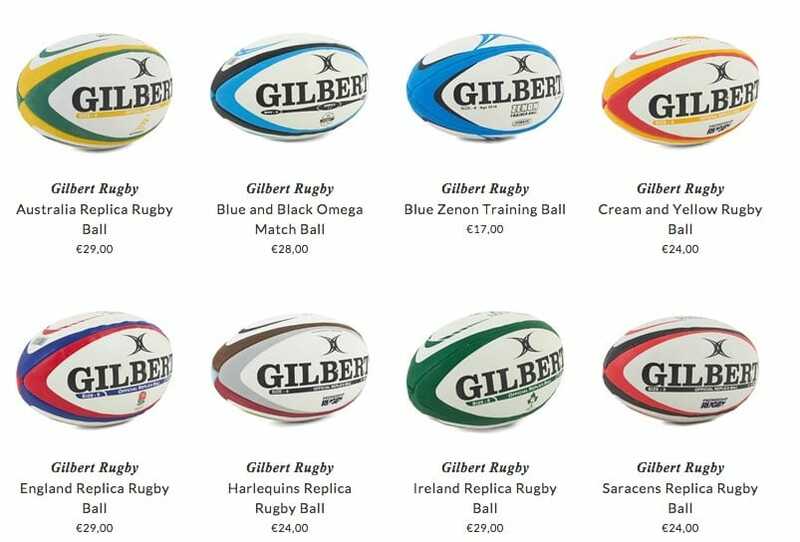 Gilbert Rugby is a well known English brand that was founded by William Gilbert, who was a shoemaker in Cambridge. But after starting with supplying rugby balls to several schools, he decided to create his own factory that will be occupied in producing stylish balls. Originally, they were larger and rounder that the piece we see today. But still the line has gained a big success among young players, and since then Gilbert Rugby remains a very demanded brand. Nowadays, the line represents a great variety of items. The main feature of them is the logo of the brand which is placed in the center of each ball. Kids can choose their favorite model due to color. The designers believe that such a remarkable ball will be adored by many boys, who are fond of rugby. It will serve as a good additional accessory in their sportive collection. Gilbert Rugby offers parents to buy their products to satisfy the demands of young boys. They can be as a good present for a birthday or any other special event. Today Gilbert Rugby has become very popular in many countries of Europe. It is already possible to purchase the accessories by Gilbert Rugby online.